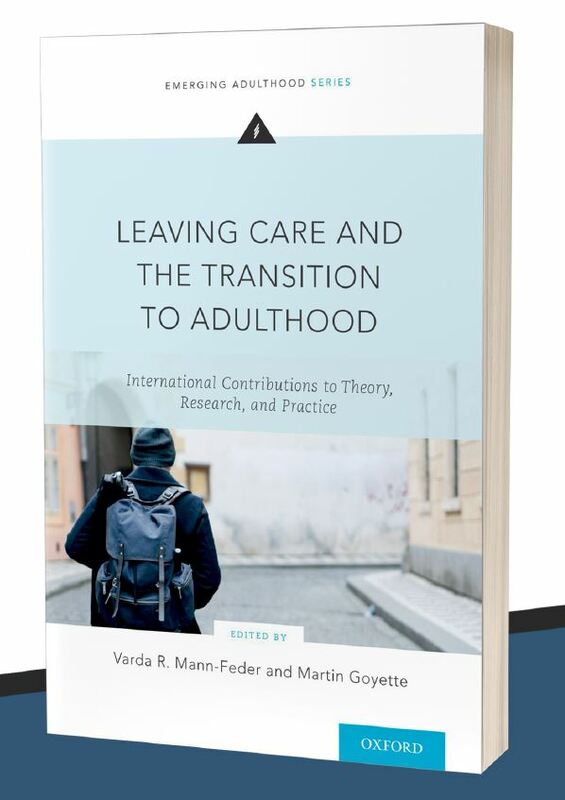 CREVAJ – Maintenant disponible: la nouvelle publication de Varda R. Mann-Feder et Martin Goyette : « Leaving Care and the Transition to Adulthood » . The transition to adulthood is a longer and more complex process than it was just a few decades ago, and a growing number of youth and young adults experience significant challenges in the establishment of an autonomous and independent lifestyle when compared to previous generations. Successful high school graduation followed by employment is no longer the inevitable trajectory for young people, especially in the current socio-economic context where jobs are less accessible and more demanding in terms of specialized skills and higher academic qualifications. Unable to rely on family for emotional and financial support, vulnerable youth, who grow up in substitute care, are especially effected by the lengthening of this transition to adulthood. The dismal outcomes for youth growing up in care are by now well-documented, and more recently, a range of models have been proposed to help advance our understanding of these outcomes and how to forestall them. However, the literature on leaving care has long suffered from the absence of theory that could guide meaningful intervention. In response to this gap, Leaving Care and the Transition to Adulthood offers a comprehensive overview of the newest contributions to this area in relation to theory, in addition to the Theory of Emerging Adulthood, while also featuring cutting-edge research and best practices that support adjustment across a range of domains for this population. International in scope, this book focuses on bringing together major advances that span the literature on transitioning to adulthood within the care system, offering a unique and important contribution to the field.